In my previous post, I wrote about the planning exercise that was developed during the August workshop in Quito on the topic of gender and water. For this post, I initially planned to explain how the workshop participants will start implementing their individual plans and influence decision-making in the water and sanitation sector in their provinces. 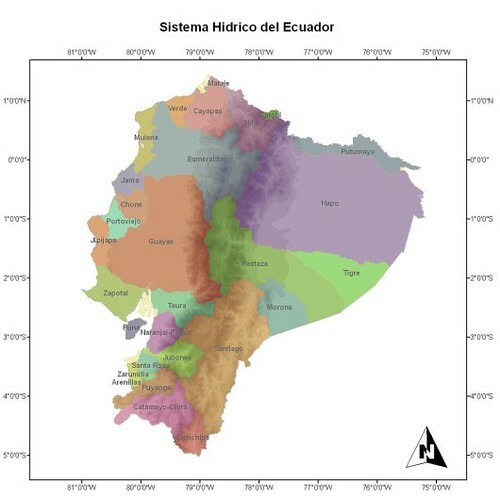 This explanation will be provided in the following post for CoLab Radio Summer series, and this current post is about the role of the national government technicians in integrating a gender approach in Ecuador’s programs, policies and laws. The national institutions that are part of this Program are: the National Water Secretariat (SENAGUA), the Ministry of Urban Development and Housing (MIDUVI) and the Ministry of Public Health (MSP). SENAGUA is a recently created ministry-rank institution that is in charge of managing Ecuador’s watersheds at the national level, ensuring that water is used according to the order of priorities defined in the Constitution: 1) human consumption, 2) national food security, 3) natural environment and 4) economic production. Traditionally, the vast majority of public investments in Ecuador were destined for large-scale export-oriented agricultural businesses (the origin of the concept “banana republic”), often leaving whole communities without drinking water or polluting their water sources with toxic fertilizers and pesticides. This challenging situation makes SENGUA’s work more relevant than ever, as water and sanitation is considered today a Fundamental Human Right by both Ecuador’s Constitution and the United Nations Human Rights Council. In this context, the Program is supporting local women leaders in influencing the management of watersheds, and is inviting these women, as strategic allies, to watch the compliance of water-related rights in their localities. The MIDUVI is in charge of regulating and controlling the provision of water and sanitation services, a responsibility of municipal and community-run utilities (JAAPs). Juntas Administradoras de Agua Potable, or JAAPs, demonstrate a very interesting way of organizing communities around water. The merging of community based organizations and water utilities is common in most Latin American countries. Traditional communities in Ecuador, like in most parts of the world, are ruled by males under patriarchal norms, a reality that is reproduced in JAAPs. With the UN-Habitat activities explained in the CoLab summer series, we expect to create precedents of JAAPs that are exemplarily managed by empowered women. We also intend to strengthen women’s organizations with the aim of making social control of JAAPs and municipal utilities more effective. The MSP is in charge of watching the quality of the water that the municipal utilities and JAAPs provide. The MSP is setting up a national plan to control water quality in which committees comprised of community members will work as government liaisons and informants. As I explained in past posts, local women are particularly interested in having safe water at home, which should be a strong motivation to participate in the committees as watchers. The Program intends to train these women so that most initiatives and measures of water quality control come from the women themselves. In most countries there are laws, national policies, local ordinances and plans aimed at reducing gender inequalities. However, very few allocate the necessary resources, either human and/or financial, that are needed to bring about significant changes in the relations between men and women in economic and political life, from the household to the community. The Program, itself is an example of this limitation. The experience described in this series responded to the Program’s gender strategy, however the initiative and its resources is coming from outside of the Program. Similarly, I do not expect national institutions to create a specific budget and hire a professional team for mainstreaming gender in their plans and policies. However, this experience is setting a small precedent and it will hopefully open the eyes of some influencing professionals, compelling them to support the allocation of resources and specialized teams for mainstreaming gender in other national programs, policies and laws. Jordi Sánchez-Cuenca is a Spanish urban planner, trained in Barcelona’s School of Architecture and London’s Development Planning Unit. He has work experience in the private, public, academic and NGO sector in Barcelona, Hanoi, Ghana and several cities in India, and he is currently working for UN-HABITAT in Quito, Ecuador, in a governance of the water and sanitation sector programme.